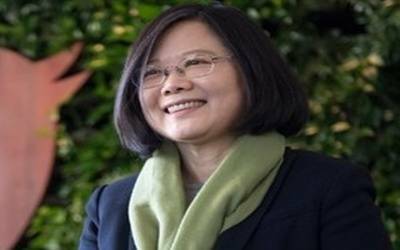 Taipei, Jan 11 (IANS) Taiwan President Tsai Ing-wen appointed a new Prime Minister on Friday following the resignation of the incumbent over the recent electoral setback suffered by the ruling Democratic Progressive Party. The President announced the appointment of Su Tseng-chang to replace Lai Ching-te at a press conference in which both were present, reports Efe news. Lai announced his resignation on Thursday night and made it effective on Friday morning after a cabinet meeting. His exit had been expected since Premiers in Taiwan usually step down after a party’s election defeat. Experts believe Su could help garner support for Tsai within the party and boost her chances of re-election in 2020. He was appointed Prime Minister in 2006 by then President Chen Shui-bian but resigned in 2007 to contest the 2008 presidential elections, which he lost to Ma Ying-jeou of the Kuomintang Party. The DPP suffered a resounding defeat in the local elections of November 24, which sparked opposition to Tsai’s 2020 candidacy among pro-independence supporters.